Application Programming Interfaces (APIs) are becoming prominent tools that allow companies to be ahead of the competition and meet the escalating demands of the current digital driven market. Major software developments today revolve around the design of APIs, which has become as important as the user interface design, reveals Gartner. APIs have reshaped how organizations are sharing information and reaching out to their customers. In such a scenario where APIs are gaining utmost importance, SmartBear helps software teams create the efficient applications and APIs by providing tools for collaborative development, functional testing, performance testing, and monitoring. 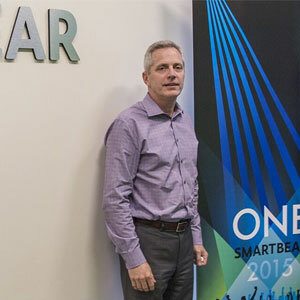 “We ensure quality in every step of the API lifecycle, from the first line of code, to live in production, and every test in between,” says Doug McNary, CEO, SmartBear. SmartBear offers API Readiness range of products encompassing the capabilities needed by customers to deliver great APIs. One of the firm’s tools, SoapUI NG Pro improves service quality and delivery after comprehensively testing an API’s functionality, compatibility, and accuracy. Security and coverage reports are also generated to ensure the critical aspects of API quality as a part of the delivery process. LoadUI NG Pro, another SmartBear’s API Readiness tool, can be used to run quick API load tests, either against a single web service endpoint or an existing functional API test created in SoapUI NG. The advantage of this tool is that it tests the speed and scalability of new changes to APIs in a short span of time. Apart from these products, SmartBear also offers AlertSite to monitor the transactions in APIs, web, and mobile applications. “AlertSite ensures that our customers’ internal, external, and third party APIs are available. It also makes sure that the correct payload is returned and the APIs are performing as expected,” says McNary. SmartBear has managed to gain its clients’ confidence through its efficiency in delivering the best technology. Highlighting a case study, Dun & Bradstreet (D&B), one of the leading sources of commercial information and insights on businesses, lacked an effective tool to manage their APIs. The client was utilizing their two existing unmanageable tools, as a conduit to their APIs. D&B finally approached SmartBear with the purpose of attaining a more intuitive and user-friendly tool. SmartBear offered them SoapUI Pro, which empowered D&B to make an impact on their customers by enabling API demonstrations to run more smoothly. D&B was also able to build their API prototypes faster. SoapUI Pro played a crucial role in this transformation and helped the client make their existing APIs more robust. D&B used SoapUI Pro throughout 2012 and generated approximately $10 million in revenue. “We have upgraded our API tools, ServiceV for API service virtualization and LoadUI NG for API load testing, to accelerate development and testing processes in agile teams,” says McNary. Going further, SmartBear plans to consistently develop its core product offerings and expand its footprint across industry verticals.